Delicious dishes from the Greek islands. The islands in the Aegean and Ionian Seas are numerous. Each and every one of them is unique, and even those that belong to the same geographical complex pose characteristic differences. Due to the fact that the islands by nature are in some way isolated, they have developed their unique flora and fauna, leading to the differentiation of their cuisines. 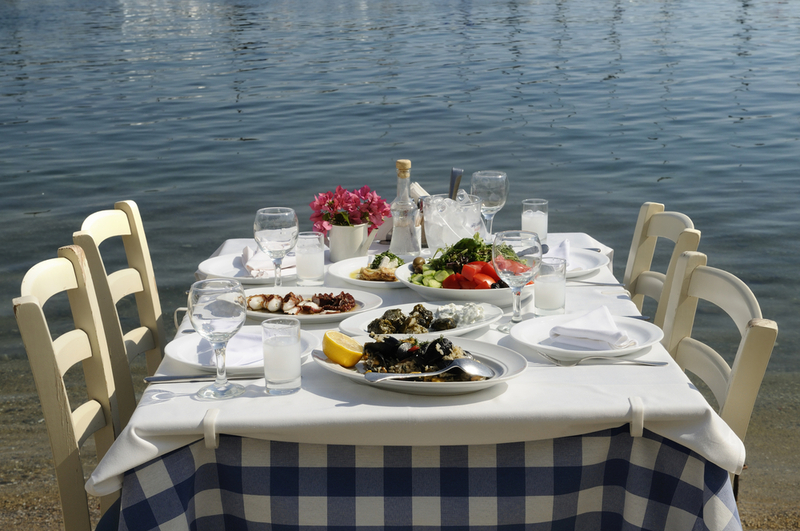 In general, the cuisine of most of the Greek islands is based on seafood, which is natural of course. But many islands are famous for their meat dishes and there are others that use an abundant amount of legumes in their kitchen. 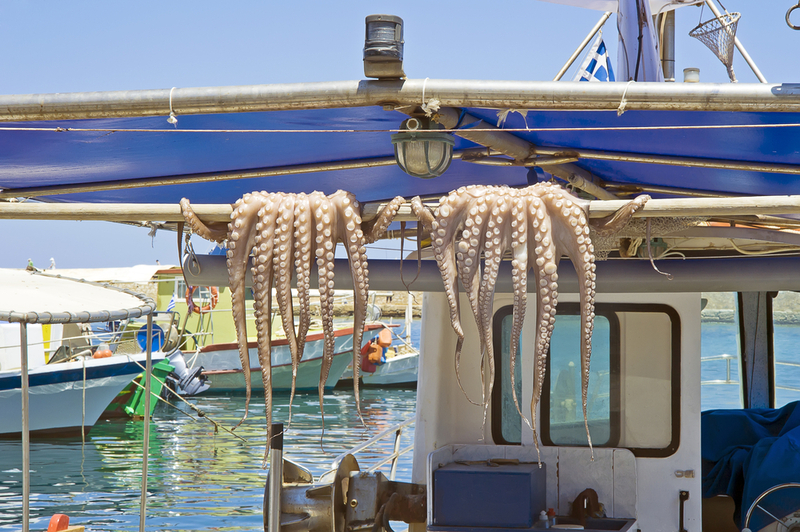 Let’s take a quick look together at the cuisine of some of the most famous Greek islands. 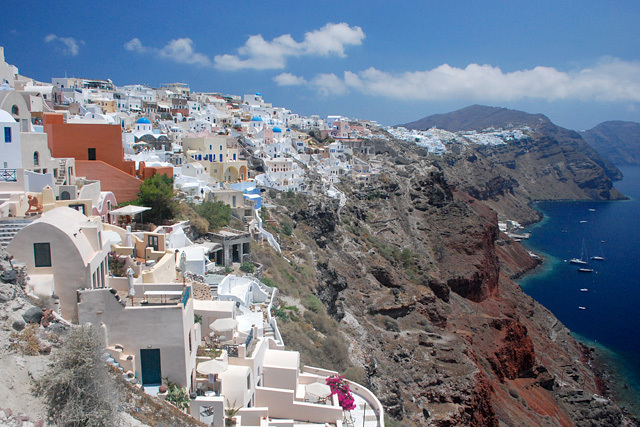 Santorini: One could say that it is the most gourmet Greek island! Its volcanic soil gives special flavor to its products. Santorini tomatoes and eggplants are unique varieties that have a very special taste as well as the famous Santorini white wine made from the Greek variety Assirtiko. Best known dish is Fava, a creamy dip made with yellow split beans. Crete: Crete is the largest Greek island, and a very versatile one when speaking of food. In Crete the locals eat a lot of meat, almost exclusively goat and lamb meat. Oftó is a delicious meat dish, perhaps the most famous of the island. The Cretans love snails and they cook them in different ways. Last but not least is the superb Cretan gruyere- the Cretans have a tradition in cheese making. Rhodes: Rhodes is the largest island of the Dodecanese complex and is considered as a crossroad between different civilizations. Its history and geography have contributed to its cosmopolitan status. Its cuisine has influences from the east and west. Best known dishes are the “pitaroudia” , chickpea balls with tomato and “melekounia” a sweet made with sesame and honey. Corfu: Sofrito is the most well known dish of this beautiful island. It is made with beef meat cooked in a heavy wine & garlic sauce. Pastitsada is another popular dish made with coq meat cooked in a sauce with plenty of onions. Kefallinia: An island famous for its pies! Meat pies, cod pies, artichoke pies and many others are a must to taste when visiting this wonderful island also well known for its impressive beaches! Many Greek islands are to be discovered but also their cuisines with their delicious, traditional recipes made with the freshest and purest ingredients! This entry was posted in Around the Greek table, THE ART OF LIVING WELL / and tagged Greek islands on 28 August, 2014 by George Papageorgiou. Dont forget to try the greek souvlaki and pastitsio. Tasty mediterranean cuisine. I have taste the Cretan cuisine and I believe that it was incomparable! I got 3 kilos in 10 days!! I will never forget that!